A major advantage of hippocampal slice preparations is that the cytoarchitecture and synaptic circuits of the hippocampus are largely retained. 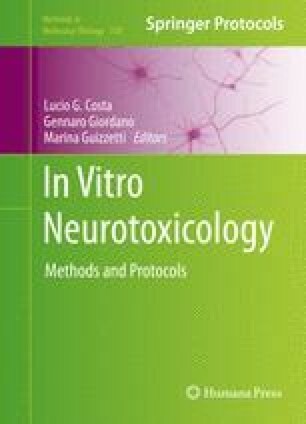 In neurotoxicology research, organotypic hippocampal slices have mostly been used as acute ex vivo preparations for investigating the effects of neurotoxic chemicals on synaptic function. More recently, hippocampal slice cultures, which can be maintained for several weeks to several months in vitro, have been employed to study how neurotoxic chemicals influence the structural and functional plasticity in hippocampal neurons. This chapter provides protocols for preparing hippocampal slices to be used acutely for electrophysiological measurements using glass microelectrodes or microelectrode arrays or to be cultured for morphometric assessments of individual neurons labeled using biolistics. This work was supported by the NIH (grants U01 NS 057993 and R01 ES014901).